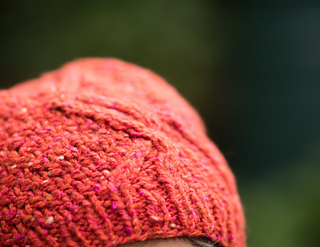 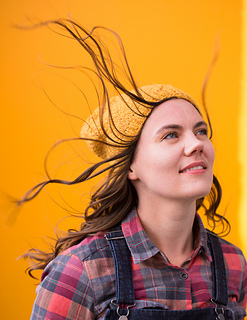 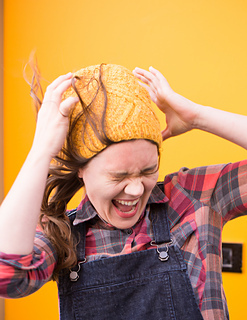 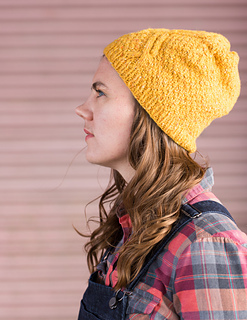 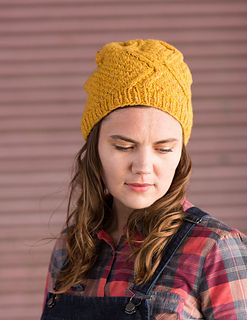 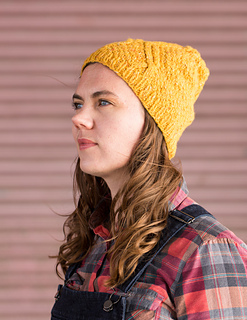 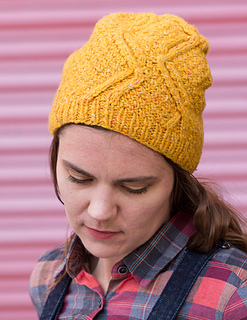 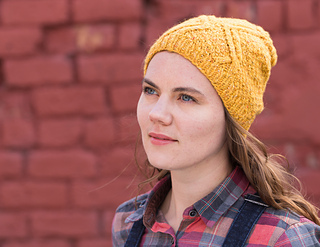 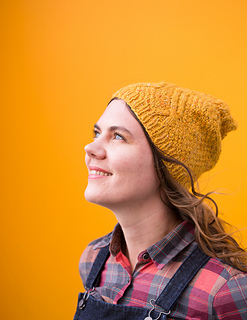 A slouchy bottom up hat featuring a simple, modern cable pattern. 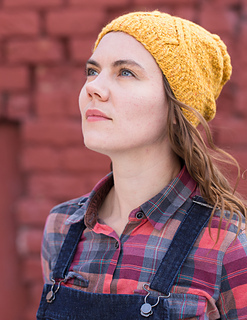 The moss stitch background is perfect for showcasing the texture of a tweed yarn — in this case a luxurious take on a traditional Donegal tweed. 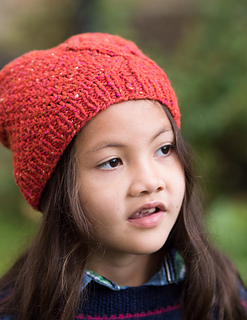 The blend of wool, silk and cashmere is beautifully soft with a sturdy hand that gives the hat body and structure. 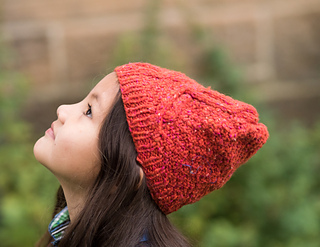 The pattern includes four sizes, with a scaled down chart for the child’s size.